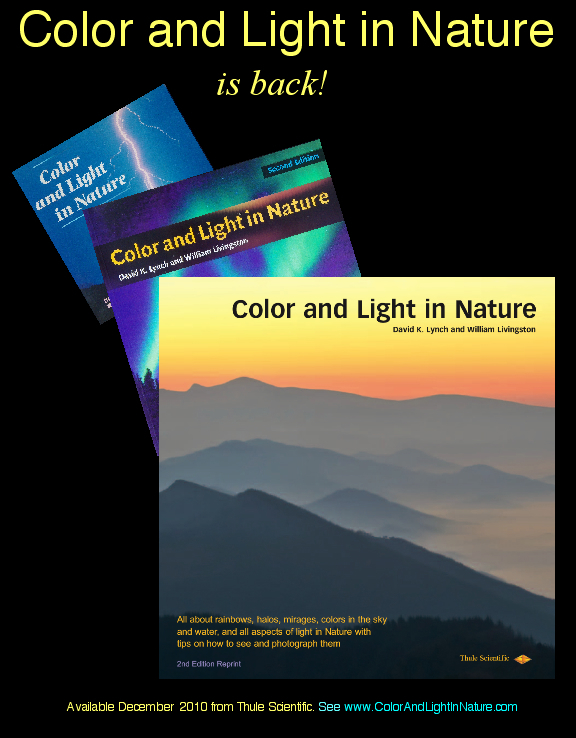 COLOR AND LIGHT IN NATURE Homepage: Rainbows, haloes, mirages, colors in the sky & water and more! 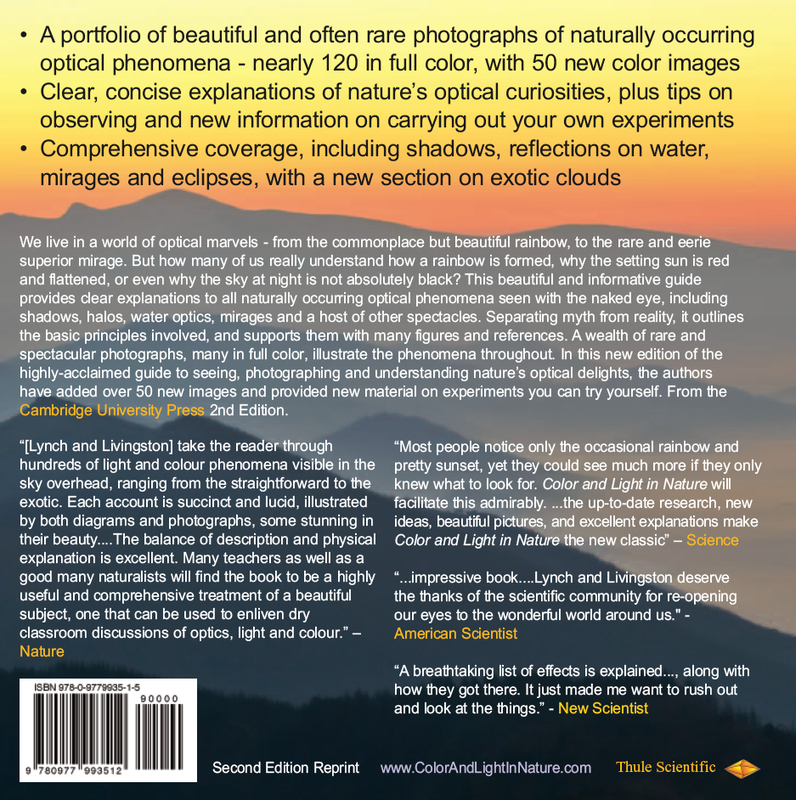 All about rainbows, halos, mirages, colors in the sky and water, and all aspects of light in Nature with tips on how to see and photograph them. What is a rainbow? Why are there always two of them? Can mirages be photographed? Why do stars twinkle? How many ice crystal haloes are there? Is it really darkest just before dawn? Why is the sky blue? Why is the setting sun red and flattened? What color is water and why does it appear so many different colors? Why does the full moon look so big on the horizon? What's the best way to see an aurora borealis? What is the green flash? Why are icebergs blue? Why can clouds produce such strong colors? What is a glory? Why is the dark side of the moon sometimes visible? What are those light beams that seem to radiate from the setting sun? These and scores of other naturally-occurring naked eye phenomena are presented and discussed, along with tips on how to see and photograph them. Author David K. Lynch is available to present a color slide show of optical marvels to your organization. For the time being, COLOR AND LIGHT IN NATURE will only be available from us. Copyright © 2009, 2010 David K. Lynch. All Rights Reserved.